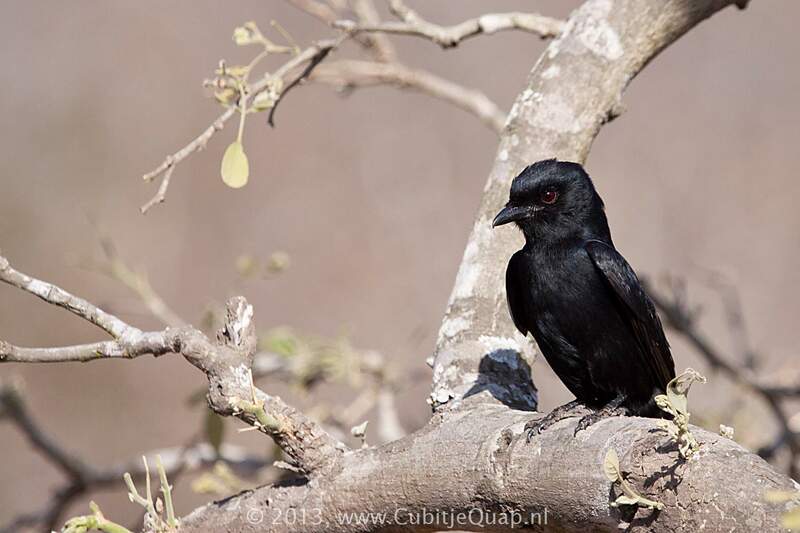 Smaller than the Fork-tailed Drongo, and the tail is only slightly notched. 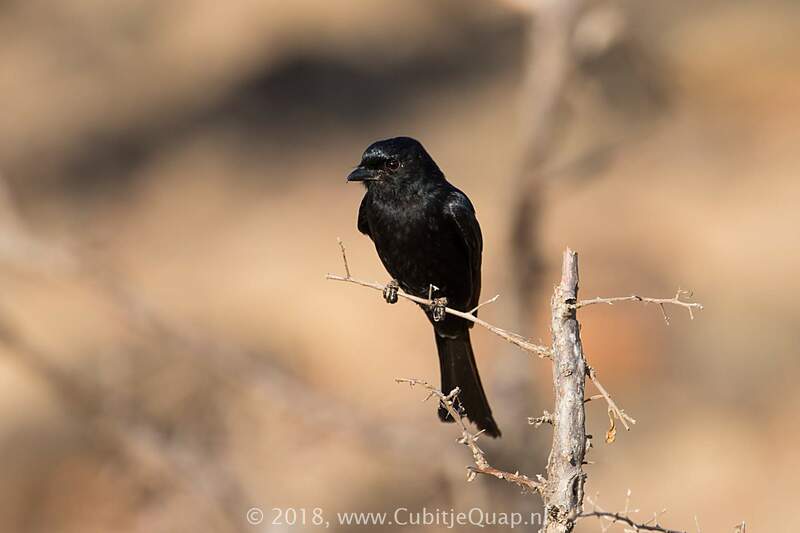 It differs from Southern Black Flycatcher by its smaller, rounder head, and red (not dark brown) eye that can be seen at close range. It also flicks its wings, especially when agitated. 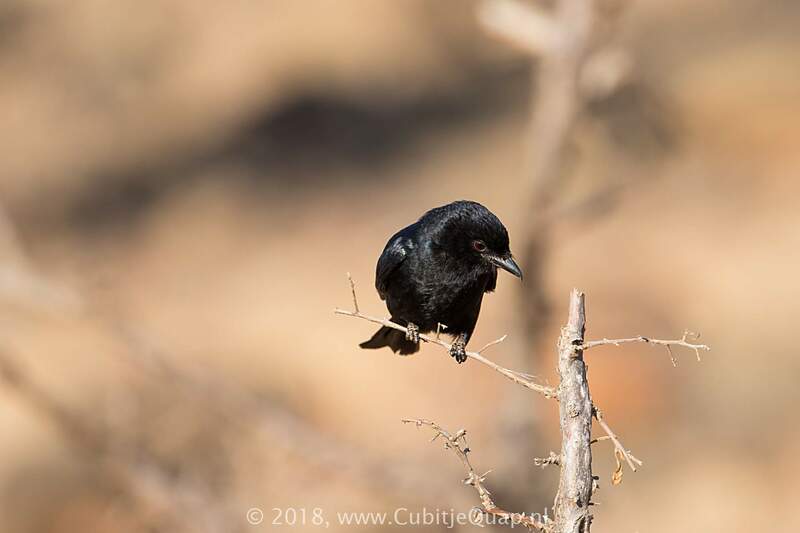 It may be distinguished from larger male Black Cuckooshrike by its slightly notched tail and the lack of both a yellow shoulder and an orange- yellow gape. 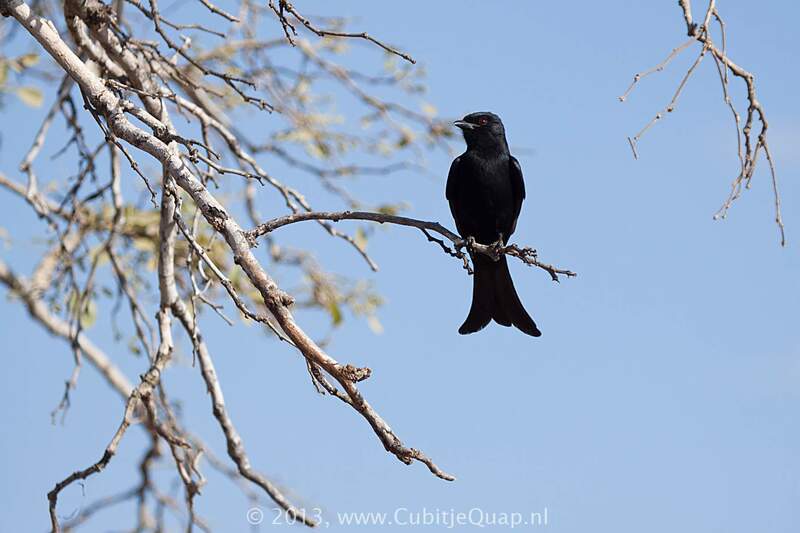 Female is duller black than male. Juvenile resembles female but has pale tips to the feathers. A strident 'cheweet-weet-weet' and other phrases.